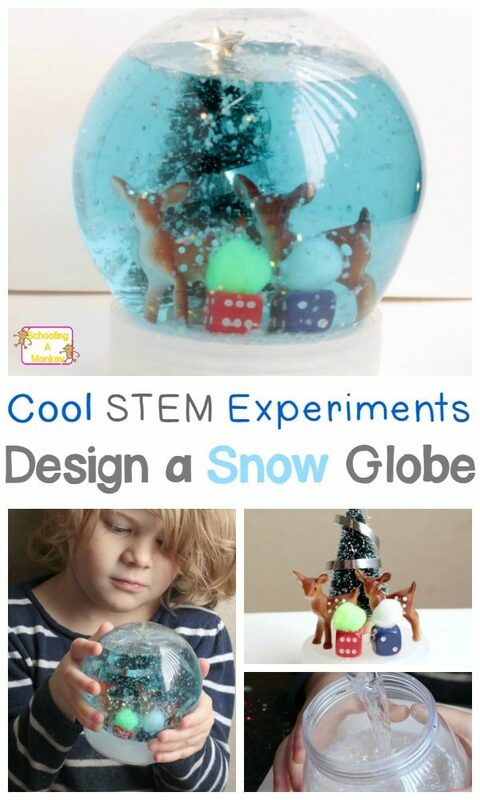 Kids will love this creative STEM activity where they get to design their very own snow globe. 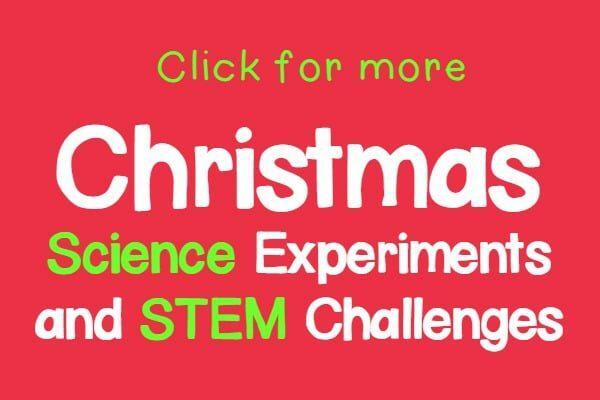 Truly cool Christmas STEM experiments! It’s one of our favorite engineering activities for kids! 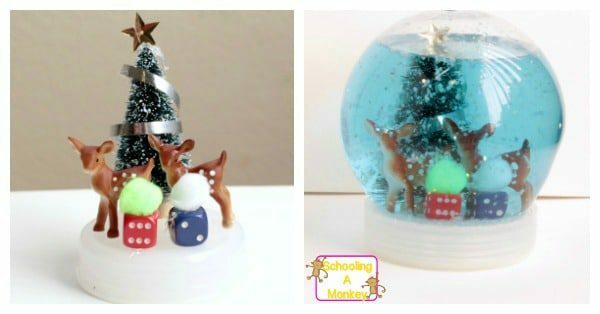 My kids had such fun making a bubbling snow globe they wanted to try it again! 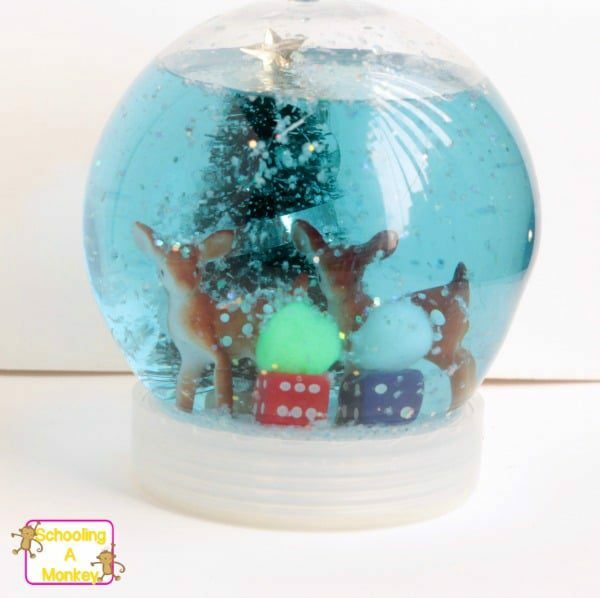 This time, we decided to skip the bubbling effect and see if we could make a snow globe that holds water and acts like a traditional snow globe. 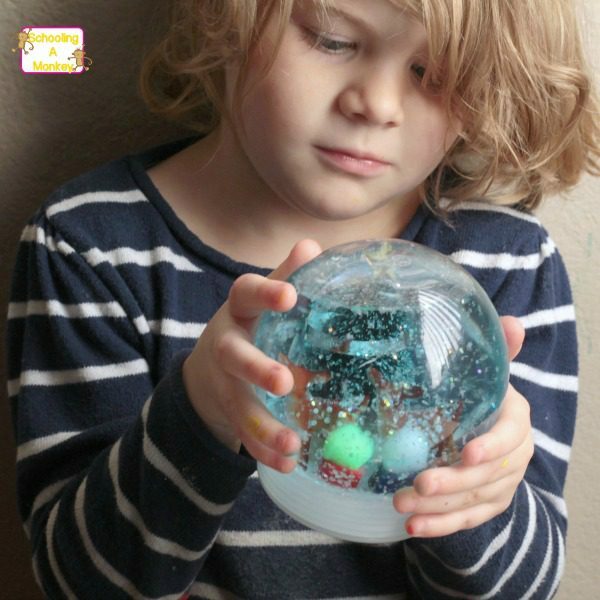 The kids created their own design and and worked together to find things from around the house to put inside their globe. 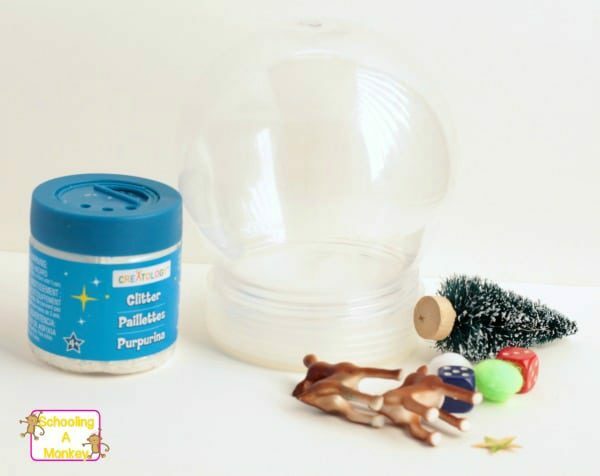 Learn how to make your own snow globe STEM project below! Related: STEM Activities to Try Today! 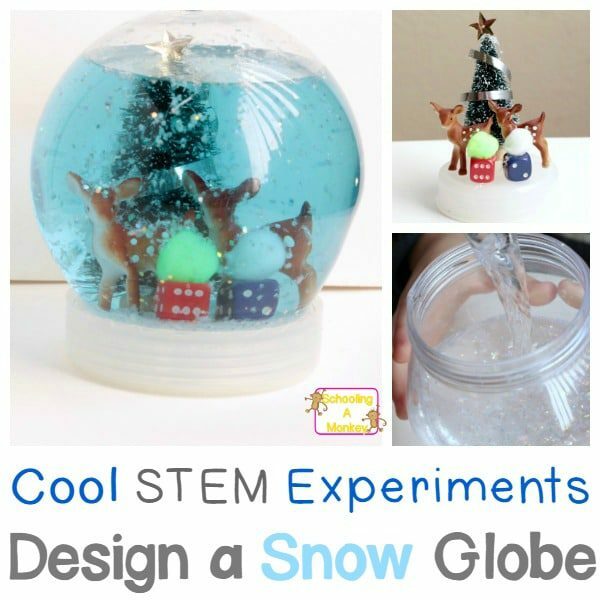 This snow globe STEM challenge was one of our favorite cool STEM experiments. The girls loved how it was a mix between a building design challenge and a sensory bottle. First, let the kids pick what toys they want inside the snow globe. 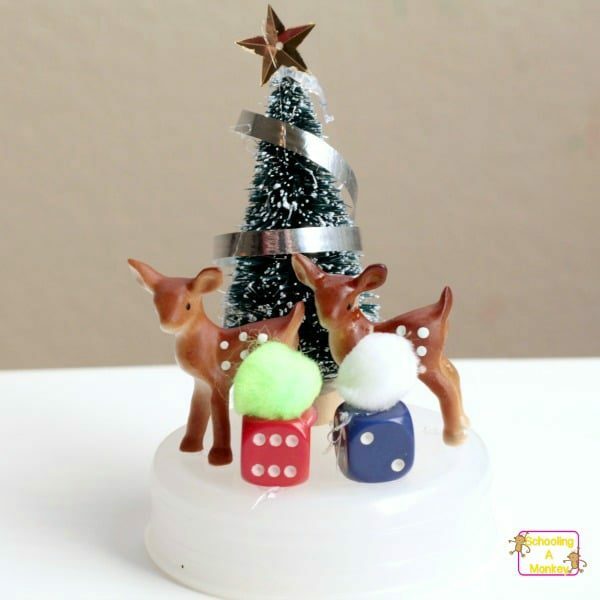 We had little deer (from our hide the deer challenge) and little Christmas trees. Monkey thought we could transform dice into presents and she added a ribbon and a star to the tree to make it a Christmas tree. The girls glued their toys in place, and it was time to fill the snow globe. We added glitter and water to the globe. 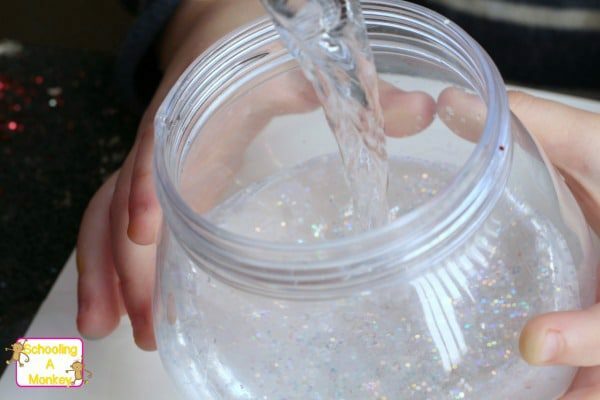 Add a dash of glycerin if you want the glitter to take a little longer to fall. Place the toy plate inside the globe and screw it on tight! We were surprised to see our water start to turn blue. We didn’t know it, but our tree was still dyed blue from the bubbling globe challenge and it turned everything blue! The girls thought it made the globe prettier, so they were happy with the surprise addition. Our globe wasn’t meant to be used long-term (I was afraid it would leak), so the girls just played with it for one day, then we dumped it out. But if you want yours to last longer, use a water-safe glue to hold the items in place and seal the globe to prevent it from leaking.